Home » The Market Report: What is Quantitative Easing doing to the U.S. economy? The Market Report: What is Quantitative Easing doing to the U.S. economy? With the Federal Reserve continuing to flood the economy with more and more money, clients of Birch Gold Group are often asking us for details on the stimulus program. So what exactly is Quantitative Easing? Does it work? What effect is it having on U.S. economy and markets? Is it creating another stock market bubble? And how might the taper affect the economy? 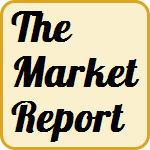 Vince Miller and Phillip Patrick answer these questions for you in this week’s Market Report. Mark Alyn: This is the Market Report with Vince Miller from the Birch Gold Group. We’re also going to be joined in a little bit by Phillip Patrick, also from the Birch Gold Group and he’ll be joining us in a couple of moments. Vince, nice to see you. Vince Miller: Great to see you, Mark. Mark Alyn: In the news. Quantitative Easing – QE3. What is Quantitative Easing to start? Vince Miller: Well in short, Quantitative Easing is essentially an unconditional monetary tool used by the central banks to stimulate the economy. Mark Alyn: Does it work? Vince Miller: Well in theory, it should work. Normally when there is a recession the economy, or the economy is staggering, what the Federal Reserve will do is reduce short-term interest rates in order to spur more lending and more spending. But right now, the Fed has cut interest rates almost as far as they can go and the economy right now is still struggling. So, really the Fed can’t lower interest rates anymore. Mark Alyn: We received an email from Mr. Albert Wenzler about the Fed’s program of Quantitative Easing and here’s what he’s asking. First of all, what effect is it having on the US economy? And then he’s been hearing a lot in the news about how the Fed has created another stock market bubble. Let’s stop there and we’ll pick up with Mr. Wenzler’s question. Vince Miller: Well in theory Quantitative Easing actually should work as we said in two ways. First, it should inject more cash into banks and allow them to lend more money. Second, it should actually lower interest rates, as we said. But if the Fed buys up a bunch of mortgage-backed securities, for example, that should make it cheaper to borrow money to buy a house or larger ticket items. In practice, interest rates do drop but it’s hard to figure out whether this translates into a boost in the actual economy. I mean, after all, low mortgage rates can only do so much if banks are scared to buy or to loan money because of the housing bubble and they’re being tight fisted about lending. So it is almost a counter intuitive, in fact. Mark Alyn: It would be an artificial way of boosting the economy? Vince Miller: Exactly, that’s exactly what it is. Mark Alyn: Let me continue with Mr. Wenzler’s question. How will the Fed’s latest decision affect Mr. Wenzler’s and everybody else’s 401(k)? Phillip, welcome to the Market Report. Phillip Patrick: I was reading a very interesting interview with a guy named Joshua Harris. He’s co-founder of private equity firm Apollo Global Management. He stated, and I certainly believe that there’s a lot of truth in this, “Quantitative Easing, excess money and low interest rates have driven pricing of almost all financial asset to beyond what their intrinsic value might be.” And I think that’s the key here. By overinflating assets with cheap money, essentially there’s nothing really there to back up what we’re seeing in the stock market right now. Economist Michael Pento suggests that the Federal Reserve’s move to eliminate its monthly asset purchasing program is ultimately going to cause a collapse in asset prices and severe recession here in the United States. Mark Alyn: And that term is called “tapering”, is it not? Phillip Patrick: Absolutely. By reducing levels of QE on a monthly basis, that is what they refer to as tapering. Mark Alyn: How do you think the tapering is going to affect the economy? You just said recession? Phillip Patrick: Of course. When this is going to happen is really the big question. If we’re really going to see tapering longer term again is another question that I think we’ll address a little bit later on. Mark Alyn: One of the things that we should take a look at are savings. Americans are not known for being savers, but at the same time, Americans have money stashed away in a 401(k). If we have a recession, if we have more inflation, if money becomes tighter, that money won’t be as valuable. Am I correct, Vince? Vince Miller: Well that’s true, Mark. Essentially this stimulus program was supposed to boost spending going in so obviously when they taper it’s going to reduce spending coming out. When things get more expensive, what essentially the reduction of Quantitative Easing, QE3, what the tapering will essentially do is it will raise interest rates. I mean, big ticket items will be more expensive, housing, cars, student loans. If you have a heater and it goes out in your house, to be practical, and you have $500 in your savings account and you can’t afford to replace the heater, either you’re going to freeze or you’re going to borrow the money and you’re going to make payments on the heater. So everything, the cost of living overall generally will go up. Mark Alyn: Let me ask you a question. As the cost of living goes up, as money becomes tighter, how does that affect the price of gold? Phillip Patrick: That’s a very simple question. Gold has typically tracked inflation, it always has and it always will. It’s a reflection of the price of goods and services. So as the cost of living increases, gold moves along with that. Hence being a very good way to protect buying power in this sort of climate. Mark Alyn: So the price of gold is expected to increase? Phillip Patrick: On the back of inflation, in that sort of environment. Certainly. Mark Alyn: In general, what you’re saying is that we have a robust stock market currently, right now. But it’s a bubble, and bubbles always burst, they break, they pop. Mark Alyn: And that’s what’s anticipated? Phillip Patrick: Absolutely. It is when you remove the stimulus, when you remove the easing that you really start to see what the Emperor looks like with no clothes, and it’s not a pretty sight. Mark Alyn: What would you advise the listener to do to save their own portfolio? Their own value of money? Vince Miller: Well Mark, the trend that I’m noticing, what we’re seeing here is we’re seeing the most conservative of investor, investors who historically made lots of money in other market sectors such as equities, housing, any in these other areas, the trend we’re noticing is we’re seeing them pull out of these market sectors almost altogether and literally hedging into physical metal. Mark Alyn: I’ve used this term for the last couple of programs, I’m going to use it again. Gold is a hedge against inflation. For the last 25 years that I’ve been talking about precious metals, gold has always been a hedge against inflation. Vince Miller: That’s absolutely true. The old saying, the rich get richer and when you see countries like China and Russia. China selling off treasuries and selling off dollars and hedging in the tangible assets, particularly gold and silver. As we said before China is looking to increase its gold holdings up to 20% by 2017. We see Russia moving into hard assets as well and we see them obviously moving away from the dollar with all the sanctions going on. So you see institutions like Central Banks around the world increasing their gold supply. You see countries like Germany right now, requesting they’ve been storing their metal in the United States and in France, they want their gold back in their possession. Vince Miller: Institutions buying physical metal. Individuals, high net-worth individuals selling off paper assets to buy gold. Mark Alyn: It’s all well and good for counties and big banks and institutions, but the average investor doesn’t care about that. They care about themselves and their own family. Phillip Patrick: Well I would say what the big guys are doing are absolutely very important for us as individuals. Ultimately the same principles apply just on a much larger scale. Ultimately central governments are flocking from the dollar to protect buying power. We need to do the same here in the United States. Mark Alyn: So the best thing to do would be to think about buying gold. A lot of people who are listening are saying, “I should have bought gold five years ago. I should have bought it 3 years ago. It’s too late, I shouldn’t buy gold now, or silver.” Are they right? Vince Miller: No, they’re wrong. Vince Miller: Well, it’s because you buy gold to protect money not to make money. If you have cash dollars that are depreciating by the rate of inflation, eroding their value and their spending power is being eroded as we sit here. Then you might as well convert the dead dying dollar and put it into something that sustains value when everything else is going down. So today is the day to buy gold. Mark Alyn: Also, gold today is at a couple of year low. Phillip Patrick: Certainly, I would argue gold today is arguably more attractive than what we saw three and a half years ago. We’ve printed more money today than we have three and a half years ago. Things like our senior debt levels, senior debt being our highest priority debt are higher today than they were in 2007. So ultimately the reasons that people were looking at this in 2008 are not only here today but arguably stronger and firmer. Mark Alyn: Gentlemen, thank you very much for joining us. And if you’re listening at home and you have questions that you would like to have answered about investing in gold, about gold and silver. We encourage you to send us an email at info@www.birchgold.com, info@www.birchgold.com. You can also call us at (800) 355-2116. That’s (800) 355-2116 and speak to one of our Gold Specialists. And of course, you can always go to www.birchgold.com to find out all kinds of information, the latest information about precious metal investing. Mark Alyn: Gentlemen, Phillip, welcome to the program. Vince nice seeing you again. We’ll be back next week. Mark Alyn: I’m Mark Alyn, thanks for tuning in. We’ll see you next time.